Who is K P Sharma Oli? 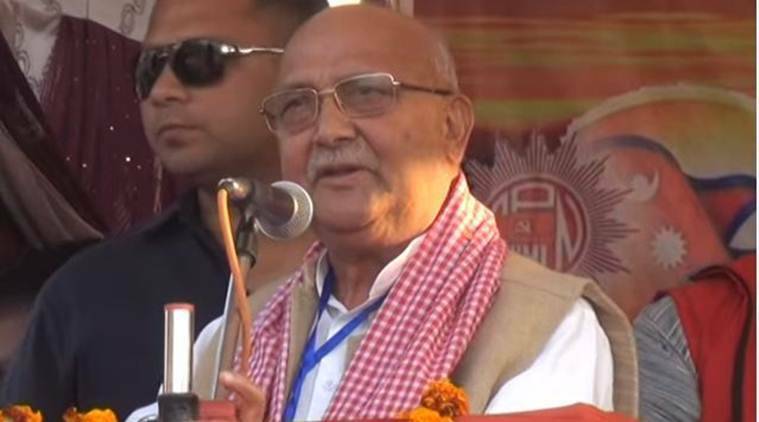 The new prime minister of Nepal, K P Sharma Oli gained popularity in the 1990s for his efforts in the democratic movement that brought down the Panchayat regime. In the next few years, he became a key figure in Nepali politics. Two months after the successful conclusion of the historic parliamentary polls in Nepal, the winning party, CPN-UML on Thursday chose party chairman K P Sharma Oli as the country’s next prime minister. Oli (65) had previously served a prime ministerial term from October 11, 2015, to August 3, 2016. He was the second prime minister of Nepal under the new constitution. Oli was born to a Brahmin family in Terathum, Eastern Nepal, in February 1952. As a child, Oli was raised by his grandmother and is known to have been a smart kid who enjoyed playing chess and football. He is also known to have been a writer of nationalist poems in those days, which he would fondly read out to his friends. Oli’s political career began rather early at the age of 12 when with the help of the Communist leader Ramnath Dahal, he moved to Jhapa. By this time, Oli was already influenced by the philosophies of Marx and Lenin and by 1966 he had entered the realms of Communist politics. In 1970 he went underground right after joining the Nepal Communist Party. Soon after though, he got arrested by the government. In 1971, Oli assumed leadership of the Jhapa rebellion which is considered to be a cornerstone moment in the Nepali Communist movement. The Jhapa rebellion is believed to be the moment at which the Communist movement in Nepal broke away from its ideological stance and launched into armed revolt. During this period, Oil spent months behind bars across different parts of the country. In the 1990s, Oli gained popularity for his efforts in the democratic movement that brought down the Panchayat regime. In the next few years, he became a key figure in Nepali politics and one of the most important figures in the Communist party. In 2015, he was elected to the prime ministerial post after having won 338 out of 597 votes. In July 2016, however, on account of withdrawal of support by the Communist Party of Nepal (Maoist-Centre) and having lost a no-confidence motion in the Parliament, Oli was forced to resign. 1 Who is Nirav Modi? 2 Who is Priya Prakash Varrier? 3 Who is Asma Jahangir ?